Home » physical fitness » A bicycle built for…weight! I’d love to be writing to tell you that researchers have discovered a bicycle specifically built to boost weight loss. However, better yet, it seems that any bicycle may be able to help you prevent weight gain during the premenopausal years. Moreover, the more you need to lose, the greater the benefits. For some time now, experts have been telling us that daily exercise, even walking can help stave off weight gain. But is all walking created equal? And what about bicycling, which evidently, only 5% of the population over the age of 16, and mostly women, engage in? Increasing the amount of biking over the study period seemed to hold weight gain to a mininum even if that biking equaled only 5 minutes a day. Women with normal weight who biked for more than 4 hours a week by the study weight had about a third lower odds of gaining about 5% of their body weight than women who did not bike at all. Women who were considered overweight and obese had about half the odds of gaining weight if they biked for at least 2 to 3 hours a week. Brisk walking was much better at holding off weight than slow walking — by about a half pound. The key take-away points of this study is that exercising is not created equal as we age. In this case, more is less is the rule of thumb, meaning that if you weigh more, you may gain less over time if you start bicycling at least 2 to 3 hours a week. If you are lean and mean, well, biking can still yield some significant benefits when it comes to weight gain. 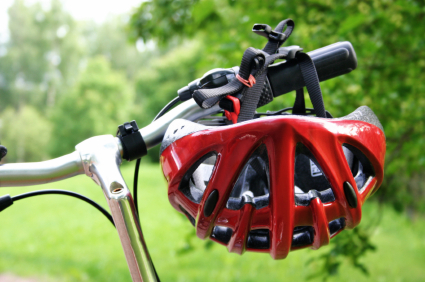 Biking is definitely built for staving off weight gain. Go for it!